A tenancy agreement is the most important safeguard against long-term difficulties with renters and the law. This is the landlords’ duty to take the time and sit down with their prospective tenants to go over the lease agreement. In order to avoid false impression a landlord mustn’t presume that the renter has read the contract. The landlord needs to ensure that the tenant fully comprehends the legal contract that they are entering into. Doing this, having each renter sign the contract, prevents anyone staying in the property from with the ability to refuse knowing about or understanding the conditions of the lease agreement. If you are confused things to use in your tenant agreement, read 5 Things For An Iron Clad Rental Agreement here. Common lease agreements are popular, but you may wish to include optional conditions may also be beneficial. Alberta’s Residential Tenancies Act (RTA) does not give you the ability to evict tenants because of smoking or pets, however a condition prohibiting smoking or pets can be included in the lease agreement. In the event the added clause is violated, the tenancy may be ended by applying to the Residential Tenancy Dispute Resolution Service (RTDTS), which is a quasi-judicial body that deals precisely with residential tenancy matters and is authorized to make binding decisions on claims up to $25,000. If you do decide to allow smoking and/or pets inside your property, the Alberta government does permit landlords to charge a non-refundable charge the same as one month’s rent along with the damage down payment, which is also equivalent to one month’s rent. If any segments put into the agreement ensure you include a term stating, “The tenancy created by this agreement is governed by the Residential Tenancies Act and if there is a conflict between the agreement and the act, the act prevails.” And as with any province, it is advisable to get each renter to sign the lease agreement, in order that absolutely everyone residing in the exact property can be legally evicted if there is a problem. When a tenant seriously damages the house and property or physically assaults you or someone else, you can promptly serve the tenant with a 24-hour eviction notice. The notice has to be in writing, be authorized by you or the agent, give the cause for eviction and state the time and date the tenancy ends. If the tenant breaches a condition in the contract by smoking or having a pet inside the property, for example, there’s a more complex legal process to comply with. In cases like this, you’ll be able to apply to the court or to the RTDTS to serve the tenant with a 14-day eviction notice. The notice must include all of the same information that’s essential for the 24-hour notice. A 14-day notice, however, can be appealed by the tenant to the RTDTS. You, as the landlord, are not expected to state this directly on the notice, nor are you expected to inform the tenant concerning this. If the tenant does appeal to the RTDTS, for instance, you ought to have an in depth report outlining whatever breaches have actually been made, which includes a list of any situations or issues over the tenancy, together with a copy of the lease agreement and the affidavit. To ensure that the eviction process goes easily for you it is recommend that landlords record incidents. If warnings have been provided, those ought to be documented. If they have grievances from other tenants, they should keep those on record and be presented as evidence .The judge or dispute officer handling the case will then either rule in favour of the tenant’s appeal or refuse it – in which case you’ll need to move to phase 2. In many cases a notice is all that’s required to solve the situation, but that’s not necessarily the case. The best-case situation is when the landlord issues the notice and the tenant decides to move. However, on many occasions tenants know that the notice means is there’s another 14 days of free rent. They know that the landlord can’t do anything during the 14 days. In the event the tenant has not appealed the notice and is still living in the unit, it is possible to go back to the court to obtain an order of possession. During this step, obtaining a judgment for any outstanding monies the tenant owes you, in addition to any costs incurred by the legal process is in the landlords interest. The problem is, however, it can at times take a week to have your case heard in the courtroom, thereby giving the tenant another week of 100 % free rent. When the order of possession is granted, then you’re able to serve the tenant with it and direct him or her to leave by a selected day, which is normally 14 days from the time the order was served. In case the tenant still does not comply, then you can file the order with the clerk at the Court of Queen’s Bench, Alberta’s provincial court, and appeal for a writ of possession. As soon as the writ is issued, you’re able to employ a civil enforcement agency to remove the tenant. The bailiff usually will change the locks on the units while the tenant may be out of the home. The bailiff will then allow any tenants residing in the property to gather their personal belongings if they agree to vacate the premises. Tenants normally should be aware that when a judgment is filed, it stays on the books for 10 years and can be renewed, thereby hurting their credit history and, of course, their capability to buy a home. In Alberta, a writ of possession still is necessary whenever a tenant has failed to obey an order of possession issued by the court. But that may soon change. During the time of writing, a bill reforming the eviction process was in second reading at the Legislative Assembly of Alberta. The proposed law would eliminate the very last step of obtaining a writ of possession and enables landlords to employ a civil enforcement agency to evict tenants if they do not comply with the order of possession. Edmonton Eviction Services is a responsible and expert in all features of the eviction process in Alberta. Call us at 780-974-8427 and let us start the process today! In order for any business to run smoothly and professionally everything should be documented or recorded. It is quite easy to deny agreeing with certain requirements if the understanding has been made verbally. That is why it is always best in business to put all agreements in writing so that there is always a remedy once any of the provisions have been violated. The same principle holds true, more so for property business. There are quite a number of things that need to be communicated by the landlord to his tenants. And since it is risky to leave agreements verbally, having various landlord forms ready would be very convenient. · Application to Lease – this is the form to be filled out by interested tenant to formally show his intention to lease a residential or commercial property. This form also helps the landlords and property managers in collecting pertinent information about potential tenant such as employment history and source of income. Needless to say a lease application aids the screening process. · Tenancy Agreement – this is a contract between the landlord and the tenant that spells out in details the rights and responsibilities of both parties. · Inspection Report – at least two written inspection reports are required based on the Residential Tenancies Act. This type of report contains information on the state of the property before the tenant moves in and after he moves out. · Notice of Rental Increase – this is the form used by Landlords to officially inform their tenants on pending rental increase. Needless to say the same is subject to pertinent rules and issuances on the matter. · Notice of Entry – this is the form used by landlords to give their tenants advanced information that they will visit and enter their property at a given time for some valid reason. · Notice of Termination of a Periodic Tenancy for Allowable Reasons – this form officially notifies the tenant that his tenancy will be ending even if he has completely abided by the tenancy agreement. This is allowed by law for specific reasons like when the landlord will be using the property. 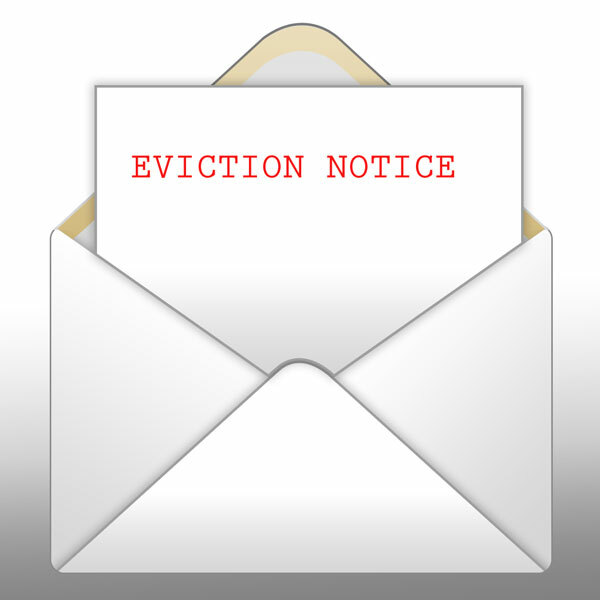 · Eviction Notice or Notice of Termination for Substantial Breach – this form can only be used under certain circumstances as specified in the Residential Tenancies Act. · 24-hour Notice to Show or Inspect – this form is used by landlords to communicate to their tenant that they will be making repairs to the property 24 hours after the tenant receives the notice. The various landlord forms discussed above are just some of the required forms that landlords should know about and maintain. These are forms that would be particularly helpful in conducting their daily business with ease. These landlord forms also provide order and system in one’s property business. It is important to note that every single one of these forms should have passed through scrutiny to ensure that the same are in accordance with relevant laws and issuances in Alberta, Canada. Call Edmonton Eviction Services Today at 780 974 8427 or contact us by email at don@edmontonevictionservices.com and let us solve your tenant problems! As a landlord, going through disputes with your tenant is one of the more difficult situations to be in. It can cause you a great deal of anxiety especially if you finally decide to go through a formal process of settling your issues. While going to court is one effective option, you have much to gain by opting for professional mediation. Going to court and having to conduct business in a formal court is intimidating to say the least. The atmosphere is cold and unfriendly since majority of the people present want to express an air of objectivity. Unfortunately, this kind of environment usually makes people defensive and restless. Even if you are the landlord bringing your tenant to court you cannot expect to be less stressed or anxious than your tenant. On the other hand, landlord-tenant mediation is conducted in a much relaxed and comfortable setting. During the process of mediation you and your tenant meet in an informal environment which dramatically reduces tension unlike a formal courtroom. By the time the mediator is done with his preliminary talks, you would find that you are much calmer than you first entered the room. Moreover, during this legal meeting both parties are closely listened to and encouraged to talk without interruption. Psychological studies supported that the mere experience of being listened to is enough to bring tremendous calming effect to one’s body. When you as a landlord start the eviction process on one of your tenants, you may not be completely aware of it but you are unconsciously fighting for control. Tenants are supposed to respect and abide by the tenancy agreement and it is quite insulting to realize that you can be readily dismissed. The landlord-tenant mediation process gives back your sense of control as you are very much involved in the entire proceeding. You can also voice out all your feelings and issues as much as you want which could provide a great sense of relief. This is something that you cannot experience in a formal court proceeding. Addressing property disputes fits the mediation process very well because there is an on-going relationship between you and your tenant. Even if your tenant has given you a lot of problems, it is still quite unsettling to completely burn bridges. In mediation, nobody loses. The goal of mediation is to come to a mutual agreement, a win-win situation. This can help save business relationships and recover at least a bit of trust. The items discussed above are just a few of the many psychological advantages that mediation can bring to the table. Oftentimes, these kinds of benefits are often neglected and ignored. However, if you carefully reflect on each of them, you will discover that they have much value. As a landlord or business owner, you should have a wider perspective when you are looking at your entire business process. Certainly, the psychological gains of mediation are comparable to any monetary benefits. Edmonton Eviction Service Inc. was formed by industry professionals and is positioned to help you and/or your property manager to take control of a cash-flow problem, remove or re-train the cause (a bad or non performing tenant) so you can move forward. We will represent you, as the landlord, through the court proceedings — the only legal way to evict a tenant — with the goal of evicting, or (if appropriate) re-training, the tenant. Utilizing your information we build the RTDRS hearing filing package and follow through to the goals we establish at the beginning. In other words — we reduce your stress and help you move forward. 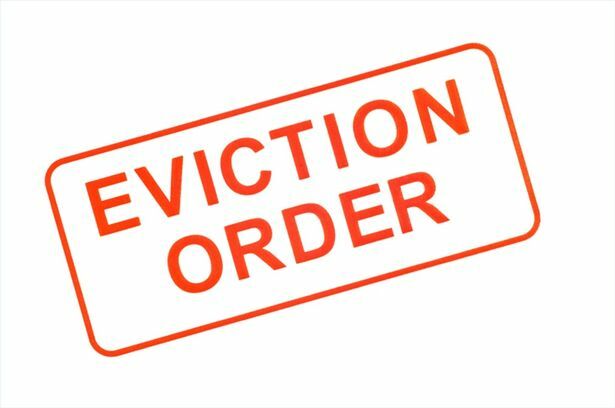 Avoid delays and further losses – start the eviction process today – CALL NOW! Signing a residential tenancy agreement means that you, the Landlord, and your tenant agreed to abide by specific responsibilities and obligations to ensure that both of you will benefit from the relationship. While this agreement may hold true and you as landlord expect that a steady flow of income and problem-free days will follow, the same do not provide an absolute guarantee. 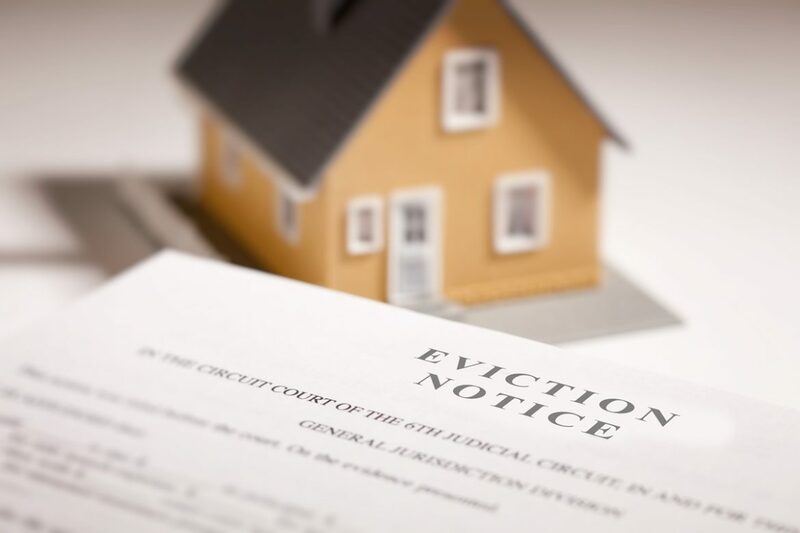 If you finally decide to take the eviction route, it is best to acquire professional residential eviction services to carry the burden of the entire process for you. An eviction process is time consuming, tedious and stressful especially if you don’t have knowledge and experience. Getting professional assistance will help ensure that your problem would be readily taken care of efficiently and effectively. · Efficiency – you need to make sure that your eviction-option would be carried out in the fastest manner possible so that you can get rid of your stress and move on immediately. · Convenience – undoubtedly, you have other things to take care of that is why you should consider an option that would be easy and most convenient for you. The factors above can all be met if you are going to acquire professional commercial eviction services. Relying on professionals to carry out what they do best would prove to be the most effective, efficient, and convenient option for you. Provide EES with all needed information, facts, goals, etc. One to 2 business days depending on time availability of both parties.